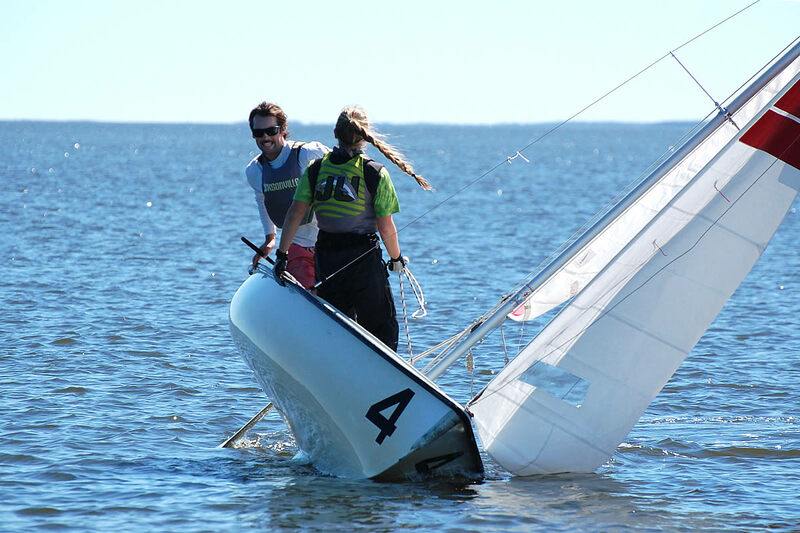 Lots of sailors — young sailors — are coming to race on the Neuse just off of Oriental Friday through Sunday April 12 – 14 in the 2019 Sailpack Interconference Regatta. The racing team from NC State Sailing invites college sailing teams from New York to Florida to come to Oriental for the competition. In 2018 18 teams registered, with more than 100 collegiate sailors. The FJ sailboats and support are provided by Oriental’s Bow To Stern Boating. This year there is added interest – the 2019 Regatta is being held the same weekend as the Oriental Boat Show. 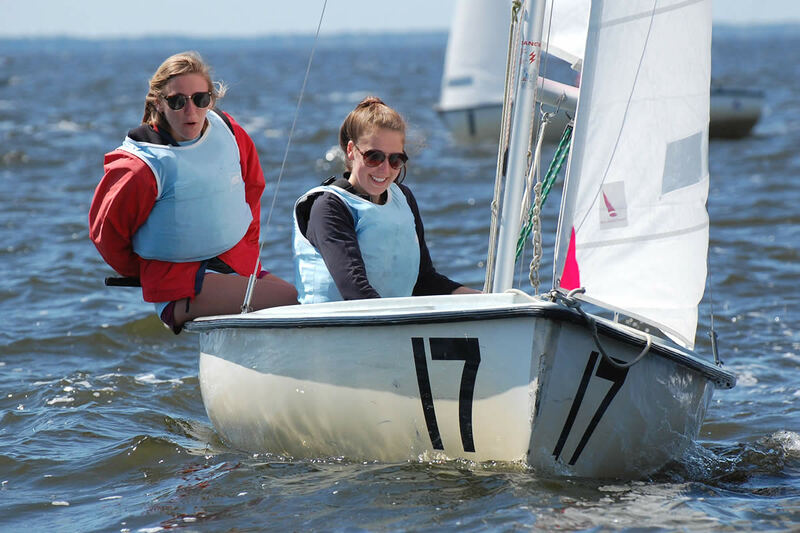 The Sailpack has hosted invitational regattas in recent years here in Oriental – its coastal training waters or “2nd home” as coach Dana Magliola puts it. The Sailpack Regatta in Oriental is an official interconference event recognized by the ICSA, the governing body of college sailing. The schedule has racing beginning Saturday after a 9:30a skippers meeting and running til late afternoon. Sunday starts around the same time, ending by 2:30p. Volunteers are key to making this event happen. Want to help? Contact Jim Edwards 252-474-6000.